John Dorsey&apos;s patience is about to be tested as if never before. After having the No. 1 overall pick in each of the past two NFL drafts, the Browns - and their industrious general manager - will begin this year&apos;s as spectators. Dorsey, who has spent the past 16 months overhauling Cleveland&apos;s roster and reawakening &apos;&apos;the sleeping giant&apos;&apos; as he likes to call the Browns, doesn&apos;t currently have a first-round pick after trading it to the New York Giants in the stunning mega-deal for superstar wide receiver Odell Beckham Jr.
They&apos;ll need to come up with a contingency plan for a post-Eli Manning world, and Rosen was the 10th overall pick last year in a strong quarterback draft class. But if a trade is going to happen between the Cardinals and Giants for Rosen, the Giants reportedly aren&apos;t willing to give up too much. 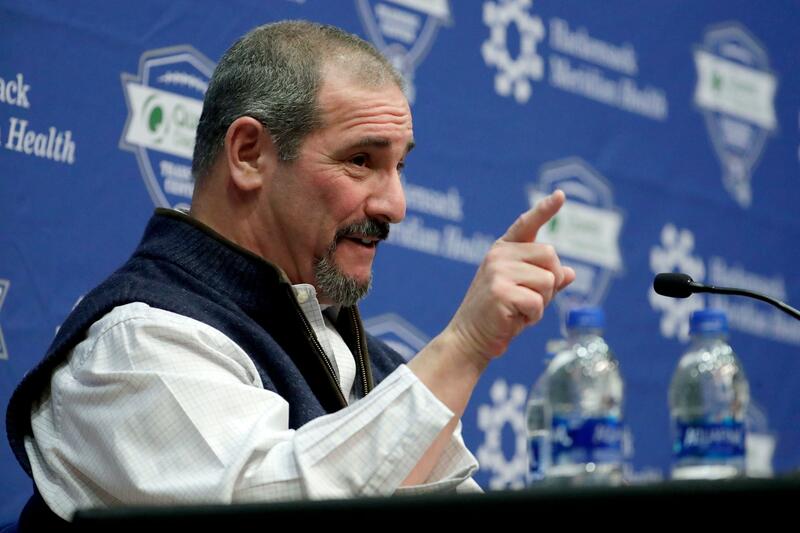 Dave Gettleman won&apos;t say if he has talked to Cardinals When Giants general manager Dave Gettleman was asked if he has had any conversations with the Cardinals, Gettleman wasn&apos;t answering. Posted in Arizona Cardinals, New York Giants | Comments Off on Giants reportedly not keen on trading high pick for Josh Rosen, but why not? 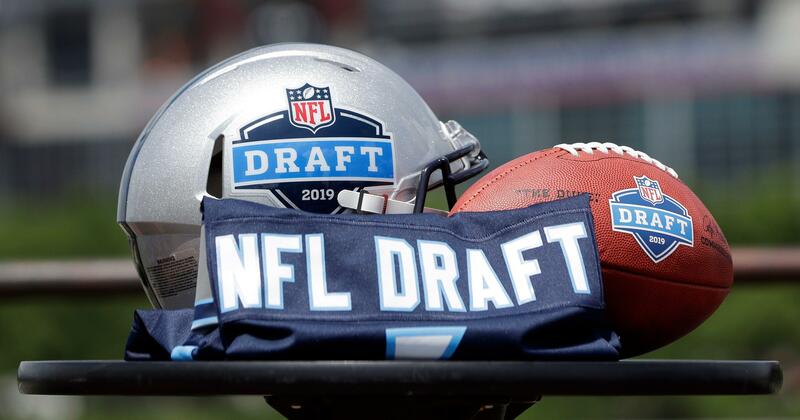 For a man who has taken more arrows over the past month than King Leonidas at the end of “300,” New York Giants general manager Dave Gettleman was as genial as ever during his pre-draft news conference on Thursday. For nearly half an hour, Gettleman — who has been widely skewered for his recent decisions to trade Odell Beckham Jr. and let Landon Collins walk for nothing — cracked jokes and talked in circles about what he might do in next week&apos;s NFL draft. “You may,” Gettleman said with a playful smirk. They aren&apos;t blinded by smokescreens or believe in wild conspiracy theories. The Yahoo Sports panelists on our “2019 Mock NFL Draft Show” are collectively buying the hype: The Arizona Cardinals are going to select Kyler Murray as the top selection in the draft on Thursday night. Yahoo Sports&apos; team of NFL, college football and fantasy football analysts – Charles Robinson, Pat Forde, Pete Thamel, Terez Paylor, Kimberley Martin, Eric Edholm and Andy Behrens – came up with consensus picks for Round 1 of the NFL draft and presented them to you the viewer to nod in approval or laugh at in amusement (or disgust if you&apos;re that charged up about it). 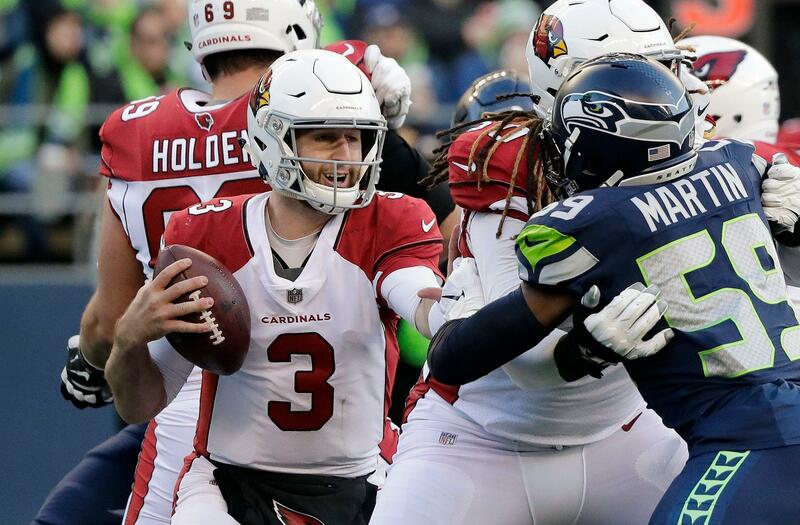 New York Giants general manager Dave Gettleman said he was "not going there" when questioned about trade rumours for Arizona Cardinals quarterback Josh Rosen. Rosen&apos;s future with the Cardinals has come under question in the weeks leading up to the NFL Draft with many believing the Cardinals will select former Oklahoma quarterback Kyler Murray with the first overall pick, then trade their current starter out of Arizona. As for the Giants&apos; draft plan, Gettleman admitted there are some "pretty good" quarterbacks in this year&apos;s class, but insisted his team are not in any rush to draft a signal caller. After trading offensive catalyst Odell Beckham Jr. and sacks leader Olivier Vernon to Cleveland and losing perennial leading tackler Landon Collins to free agency, the New York Giants are rebuilding heading into the NFL draft. The question is, where does general manager Dave Gettleman start? After winning eight games the past two seasons, there aren&apos;t many positions where the Giants don&apos;t need help. New York Giants running back Saquon Barkley has heard the argument that the Giants shouldn&apos;t have drafted him last year. 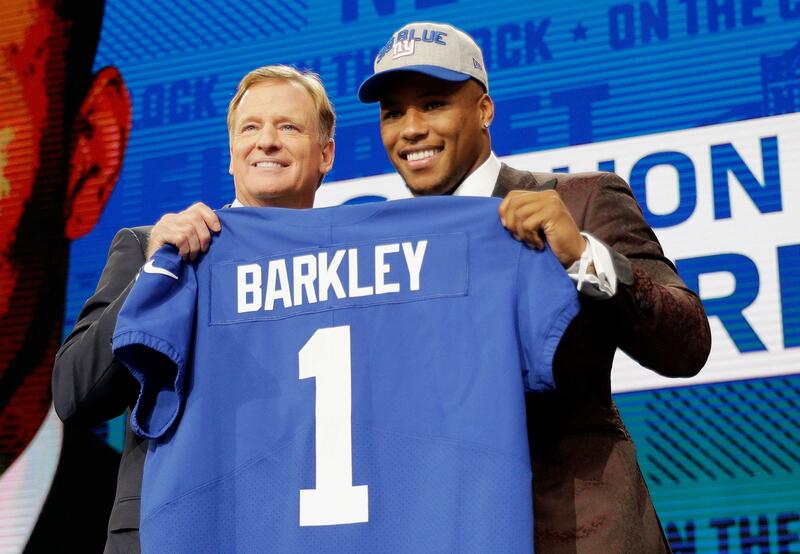 Barkley understands why some Giants fans believe the team should have drafted a quarterback with their first-round pick last season. ? @saquon was asked if he understands people who still wish #NYG had taken QB last year. 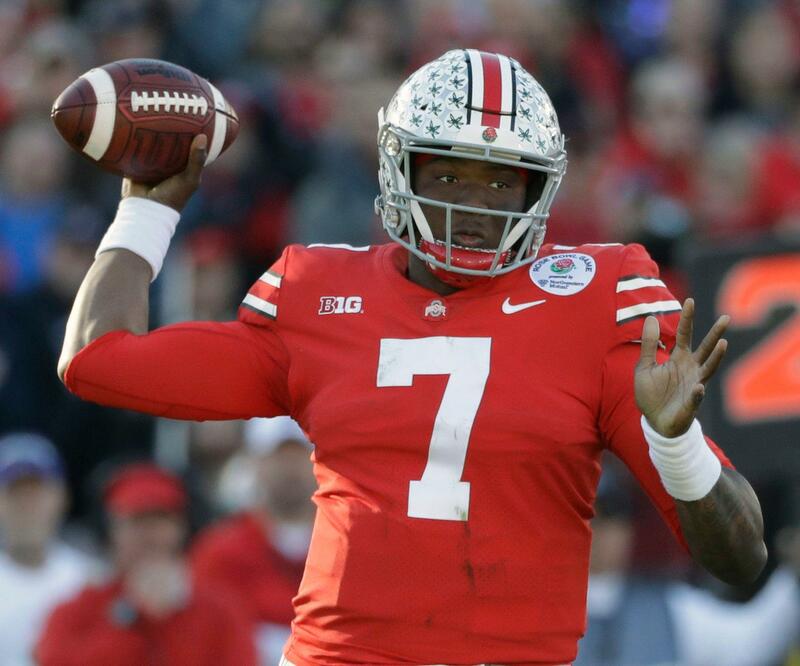 Posted in New York Giants, nfl | Comments Off on NFL mock draft 3.0: How far could Ohio State QB Dwayne Haskins slide?